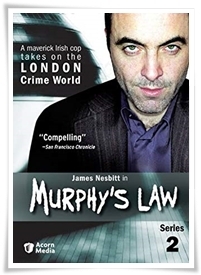 The second series of Murphy’s Law suffers badly from a reduction in episode length. The stories feel rushed and there is almost no time spent on Murphy’s character. Having started life as a quirky, engrossing drama, the show seems now distinctly run-of-the-mill.